The New Year has come and passed, but that doesn’t mean it’s too late to start saving some big bucks on your travels this year. Whether you’re keen to travel in your home country or take an exotic trip abroad, there’s never a better time than when the feeling strikes you! 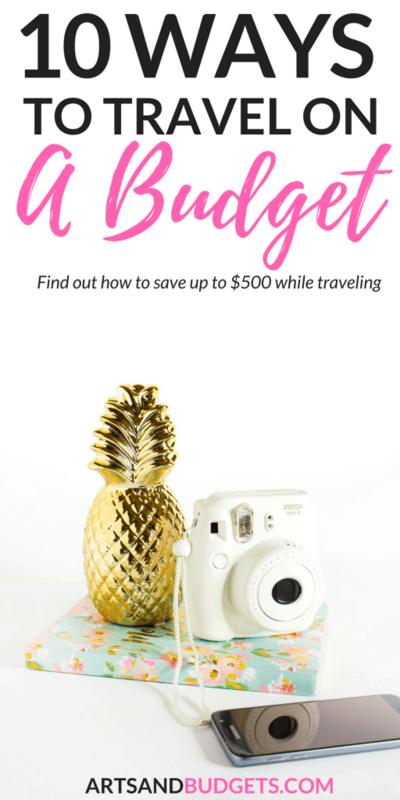 If you have been bitten by the wanderlust bug, but feel constrained by a tight budget – have no fear! 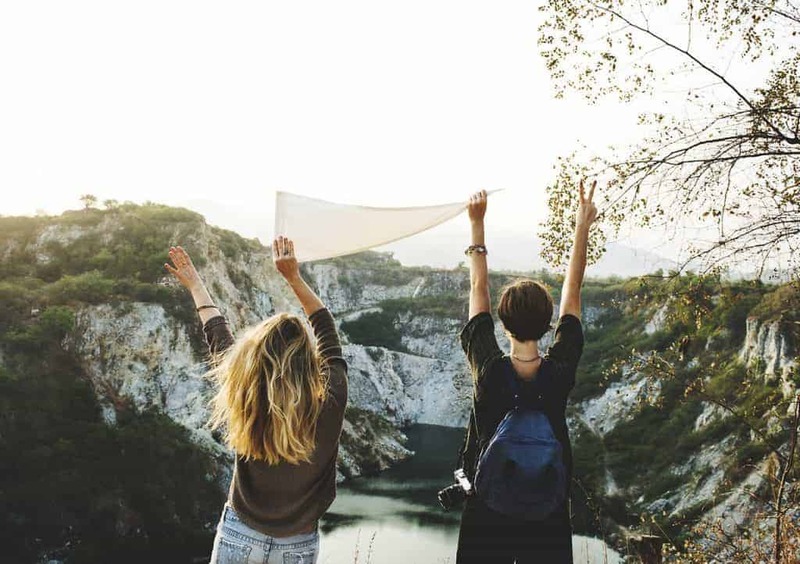 In this guide, we will break down some of the best ways to save before and during your trip to make your travels this year a total breeze! Ready to travel the world this year? Follow along for some money-saving tips to make your travels fun and affordable! Before you get your mind too set on where you want to travel to, consider that different times of year mean different travel costs depending on where you go. 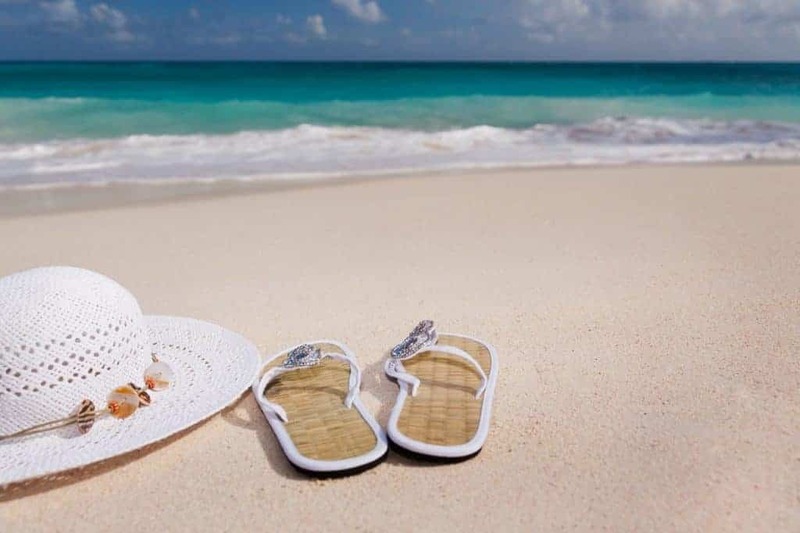 For that reason, flexibility is really your best friend when it comes to saving money.For example, most countries and even cities have “high” and “low” seasons, which affect the cost of travel. A quick Google search will tell you what times of year are best for your location of choice. Bonus Tip: Use Skyscanner’s “Everywhere” function to select what dates you want to travel, and what areas are most affordable during those dates. Being flexible could mean saving big bucks (and maybe going somewhere you have never considered before). As tempting as it is to want to lounge out in a fancy hotel if your bank account is yelling “No!”, you may want to consider some more affordable options. But, “affordable” doesn’t have to mean “cheap”! We will explain why the alternatives can be even better than hotels.For one, Airbnb has taken the world by storm, offering more affordable options than ever before! You can find loads of options on their website – from single rooms to entire villas! Listings include information about amenities, the location, activities nearby, and more. You really can’t beat it. Secondly, you get a little extra taste of the culture you are visiting by staying in an Airbnb, or in a local hostel. Many of these options are catered to helping travelers learn about the area and getting acclimated – something hotels rarely do. Airbnb hosts and hostel owners will usually help you navigate the area, find cool places to check out and more. Worth every penny! Now you may be thinking, why should I sign up for a credit card? Isn’t the point of this post to SAVE money? Yes, of course. We would never suggest taking on debt to travel, but the perks of getting a travel credit card are worth mentioning here! For one, many travel credit cards include a sign on bonus of flyer miles to help you take your first trip. This can be great to look out for if you have been bitten by the travel blog but don’t quite have the means to do it. There is usually no obligation to actually use the credit card, though there may sign up costs depending on the company you go through. Travel credit cards can also help you save money on certain kinds of purchases back home and as you travel, and earn you flyer miles as you go along. So, if you are an avid traveler, going this route may end up saving you big bucks compared to your standard credit card. Talk to your bank of choice, or search online for more information. Similar to what we described in point #1, booking your flight at the right time means knowing the best times to travel and understanding the system. This may fall into the category of “travel hacks” because it takes a bit of finesse, but will totally pay off! People typically do their traveling late in the week or over the weekend, making ticket prices more competitive (read: more expensive). Your best bet is to book your outbound flight for a Tuesday or Wednesday, and then return on a weekday. The “travel hacking” really comes into play when it comes to knowing when to buy. There is no magic date for this, but with a little research, you can often find sweet deals, or at least what dates are best for your particular airline/booking company. Again, all of this depends on your flexibility, but waiting to buy at just the right time and for the right dates can really make a difference. We all hate email spam, but here’s something you definitely want to opt into. It’s simply true that the best deals are often just out of reach … and you can find them for signing up for newsletters. Airlines often share exclusive deals in their newsletter that they don’t advertise elsewhere. By signing up for those updates, you become part of the little “club” that receives those sweet deals right to your inbox. Simply check out your favorite airlines and booking companies online and sign up for their newsletter. Then, check your inbox regularly for last-minute deals. If there’s a particular place that you really want to visit, and you have your dates in mind, most booking companies will let you set up price alerts to know when the ticket prices drop or rise. Simply set your dates and location, and opt-in for price alerts. These are usually sent via email or SMS message. Stay up-to-date and buy your ticket when prices are low. *gasp* But why would I want to do that? Before you run away from this post, hear us out! Though the thought of giving up the seat on your flight may be anxiety-inducing, it could earn you big bucks. Flights are often overbooked and will ask passengers to give up their seats and change flights. For some airlines, like United or Delta, you can even bid on how much money you may get for giving up your seat. Some payouts have been up to $10,000! So, if you have some flexibility in your plans, let the gate attendant know, and you may earn some cash or additional flyer miles. Not bad! We get it. Hopping off the plane in a new location can be daunting, and often you just want to get to your accommodation and R E L A X. But, opting for a taxi can really rack up your travel costs, especially if it is your main mode of transportation as you travel. Many airports will have connections to local bus lines, shuttles, light rails, and more. These are usually significantly cheaper than using a taxi or rideshare service. You may also consider walking a bit away from the airport and seeing what other local options are available. Some taxi services will add on additional fees just for an airport pickup. Also, be sure to educate yourself on what options are available at your destination. There may be transportation that the locals use that are hidden in plain sight, but are significantly cheaper than what is marketed to tourists. Eating out while you travel can really drive up the costs, especially if you are opting for the finer eats in life. Eating for less doesn’t have to mean eating like a pauper though. There are many great ways to save money on food as you travel. Though cooking for yourself may be the cheapest (and healthiest option), it may not be a possibility depending on where you are staying. If, however, you are at a hostel or Airbnb with a kitchen, buying groceries and cooking your own meals is a great option. You will find the best prices at local dives that may lack all the glitz and glam of traditional restaurants. Restaurants catered toward tourists can be especially pricing and usually charge more for American and European dishes. Eat as the locals do and you are bound to find the best prices, variety, and authentic cuisine. Believe it or not, traveling with a buddy can cut down on costs quite a bit. Often sharing things like accommodation, transportation, tours, and more saves you a pretty penny. If you can convince a friend to travel along with you, it may save you both money on a fantastic trip. For one, you can usually split accommodation costs in half, depending on where you stay. You can sometimes finagle a deal when it comes to local transportation as well. You’d be surprised how much money you can save when you travel in pairs. Your friend can also help you keep accountable to your budget, and brainstorm cheaper options. Just make sure that they are understanding of your budget, and won’t pressure you into a spare-no-expense vacation. MY TOP RESOURCES + RECOMMENDATIONS TO MAKE MONEY + SAVE MONEY QUICKLY. QKids: With Qkids you can get paid up to $22 an hr to teach children that live in China. Don’t worry, you do not need to know any foreign language and their team also create all the lesson plans for you! #Score! Also, you can do your online teaching right from your own home. So, if you have a Bachelor degree you can totally apply for Qkids and start making full-time income this month. Check out Qkids by clicking here. Pinecone Research & Swagbucks: Both Pinecone Research and Swagbucks are some of my favorite survey sites to earn gift card rewards and/or extra money online quickly. Check out Swagbucks by clicking here and Check out Pinecone Research by clicking here. This is a great Post with lots of great ideas. I’ve been looking for a post like this. I love to travel. Thank you for sharing. Oh! How I wish I could travel more … These are all such great tips. Thanks for sharing. What a great list! We have always loved to travel but now that we have kids it gets pretty expensive for all those seats! Looking for ways to cut down on expenses. I definitely agree that flexibility is key! That alone will help you with #4, #5, and #9. Great list. Travel can be quite pricey but it’s so fun you have to do it, with your tips saving can be easier. Love all of these, planning smart can save so much! Thanks for the reminders and the great list! I always love coming across different travel tips. I am definitely going to look into the Skyscanner. Great tips! Great tips! I will have to check out the Skyscanner you mentioned. I have always believed if you can save money on groceries and travelings, you can save money on anything.